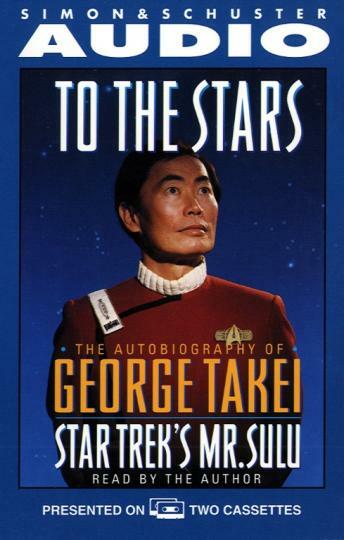 Best known as Mr. Sulu, helmsman of the Starship EnterpriseTM and Captain of the Starship Excelsior, George Takei is beloved by millions as part of the command team that has taken audiences to new vistas of adventure in Star Trek&reg--the unprecedented television and feature film phenomenon. From the program's birth in the changing world of the 1960s and death at the hands of the network, to its rebirth in the hearts and minds of loyal fans, the Star Trek story has blazed its own path into our recent cultural history, leading to a series of blockbuster feature films and three new versions of Star Trek for television. Star Trek means much more to George Takei than an extraordinary career that has spanned thirty years. For an American whose ideals faced such a severe test, Star Trek represents a shining embodiment of the American Dream--the promise of an optimistic future in which people from all over the world contribute to a common destiny.